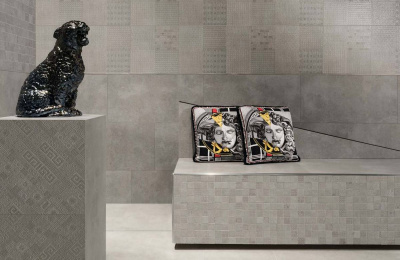 What happens if we combine technological capabilities of an elite ceramics manufacturer and philosophy of an iconic fashion brand? 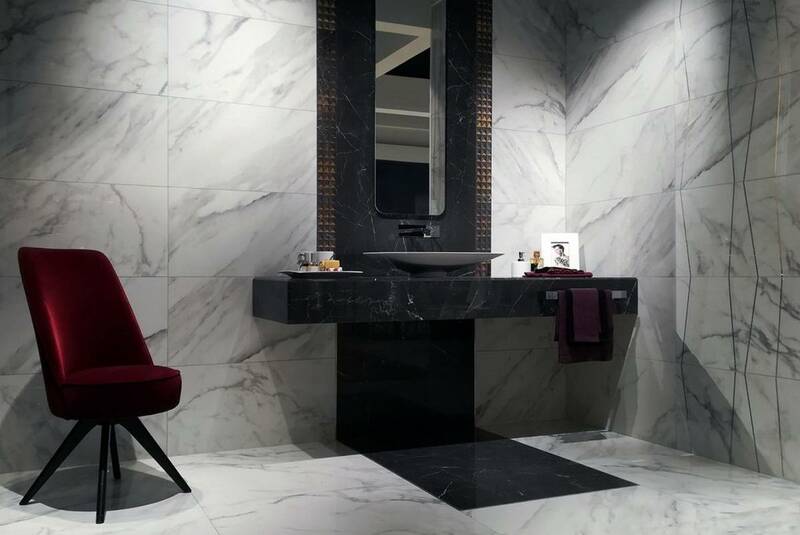 This question is very eloquently answered by Versace Ceramics – a joint project of Gardenia Orchidea factory and Versace fashion house. Its products are called “tiles haute couture” and are used to decorate the most luxurious interiors. 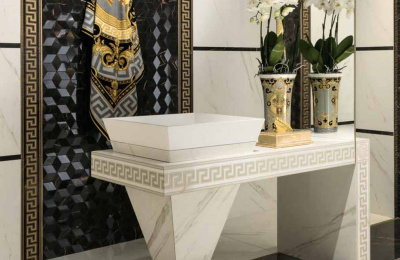 All Versace Ceramics products feature two motives: luxury of the Baroque era and elements of ancient Greece. 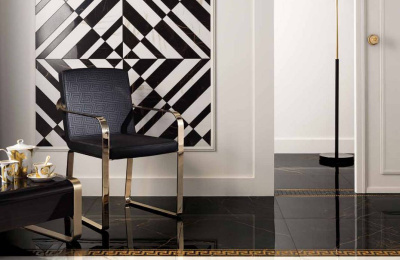 The answer to this question lies in the origin of the founder of Versace fashion house. Jani was born in a small Italian town in the South of Italy. There are many beautiful antique buildings there – with massive columns, colorful decor and images of heroes of ancient Greek myths. 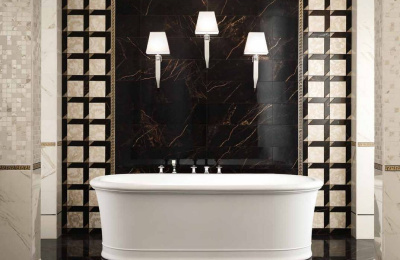 Of course, having spent all his childhood in this environment, he was imbued with this style. 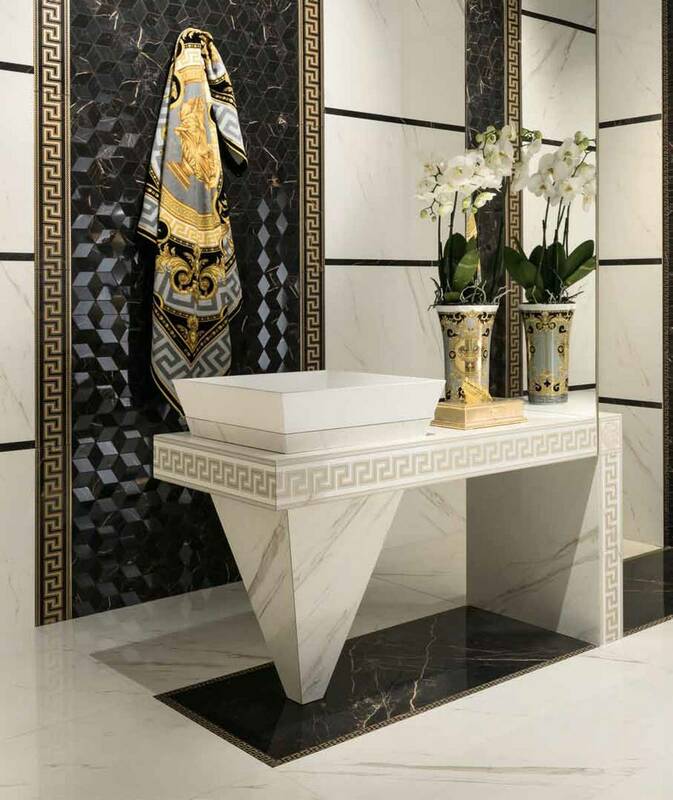 Jani Versace inherited interest in Baroque style from his father, who was a passionate lover of opera music. And, as we know, the world of opera and the classical theatrical architecture have the most direct relation to the Baroque style in art. 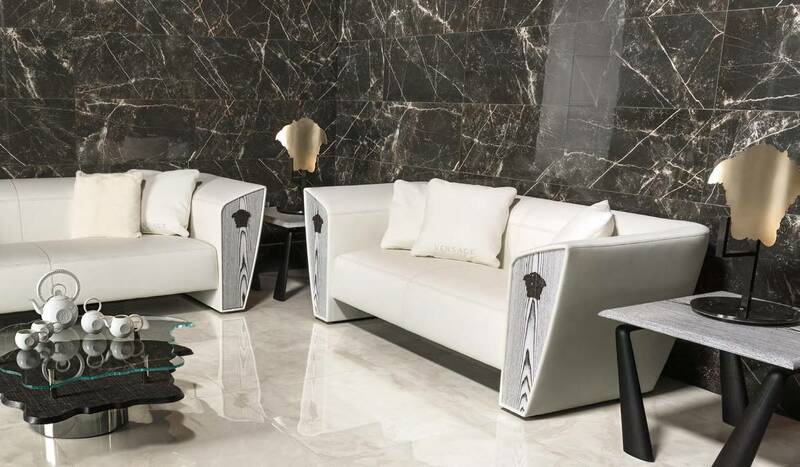 So the corporate identity of an outstanding fashion designer and his fashion house was formed. 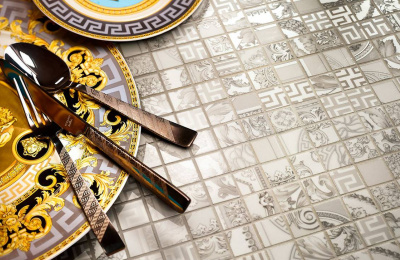 Even now you can trace three main lines in Versace products: the luxury of Baroque, elements of ancient art and the symbolism of jellyfish, as a reference to Greek mythology. 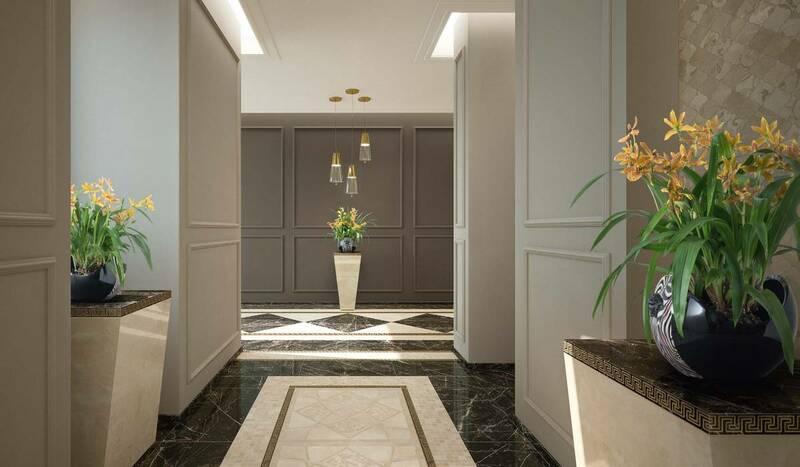 Creating new collections is a painstaking and time-consuming process taking about a year, which always takes place in tandem. 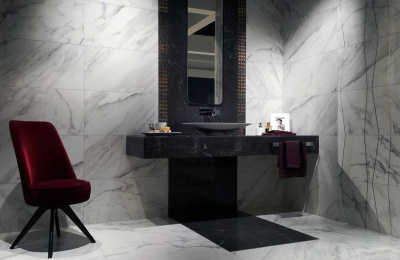 Fashion house gives ideas, guidance, and the development department of Gardenia Orchidea creates images for the new collections. 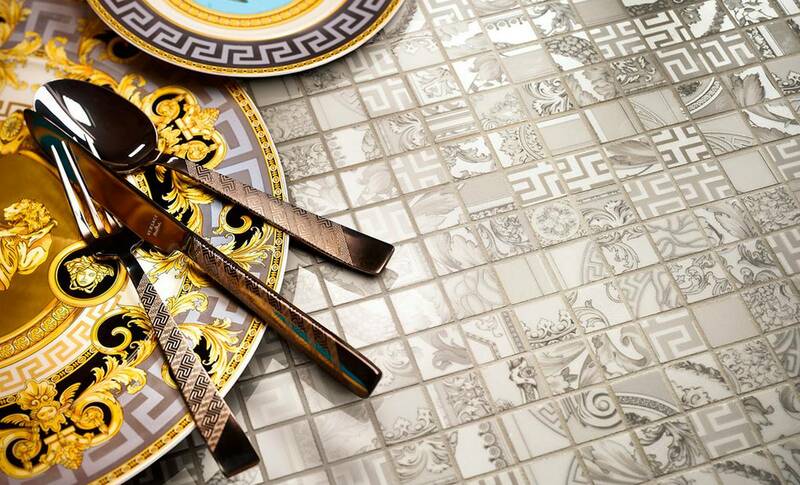 They interpret the philosophy, the spirit of Versace brand, creating a unique design on their basis. Later all the workings are approved by the fashion house and launched into production. 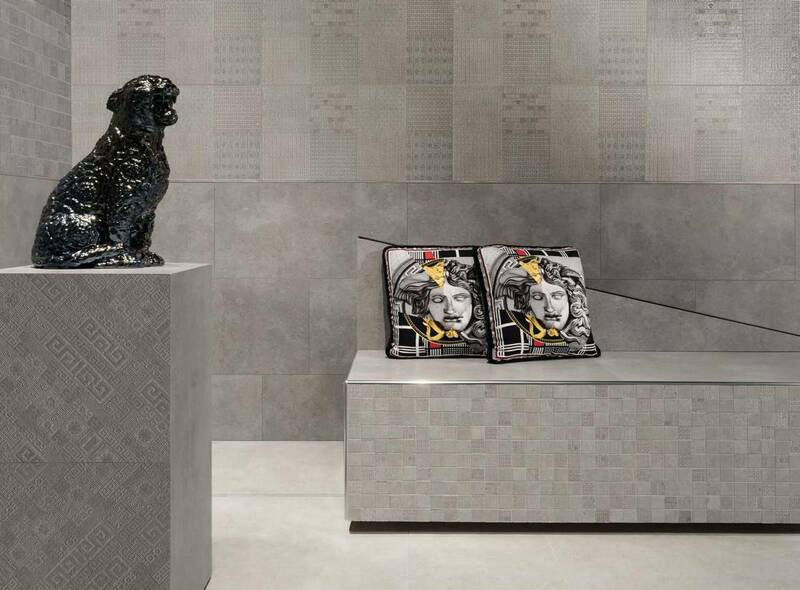 Versace Ceramics tiles are created using sophisticated technology. 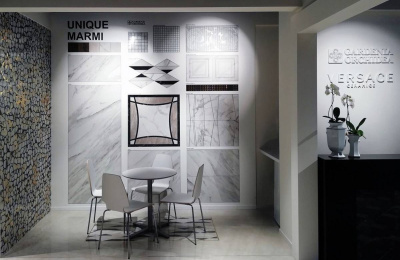 For example, a huge digital printer, which is able to apply a detailed picture of any complexity and in any color combinations to decorative materials. 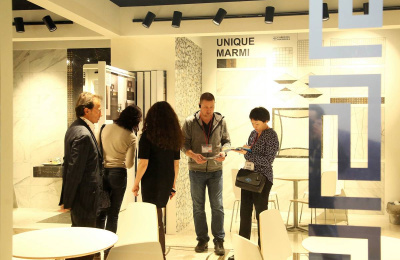 Each new collection is demonstrated at the CERSAIE exhibition in Bologna. 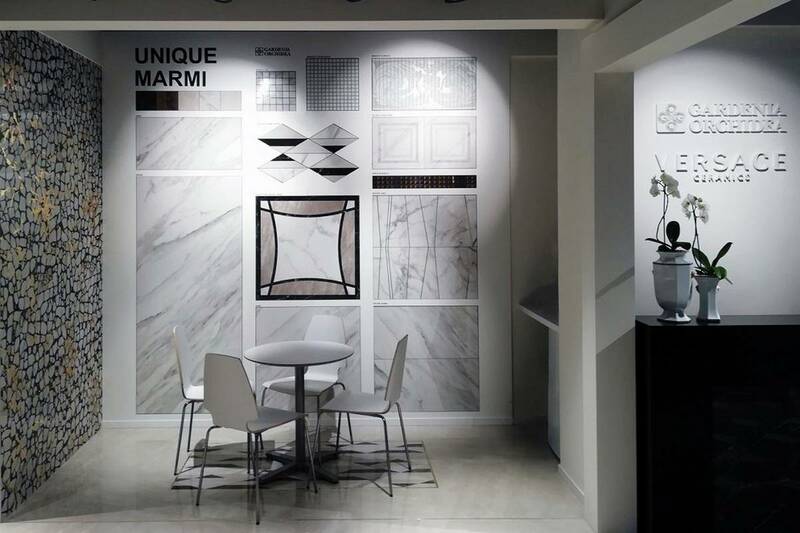 After that, if necessary, it is finalized during 6 consecutive months, and the final version of the collection is exhibited at BATIMAT RUSSIA in Moscow. 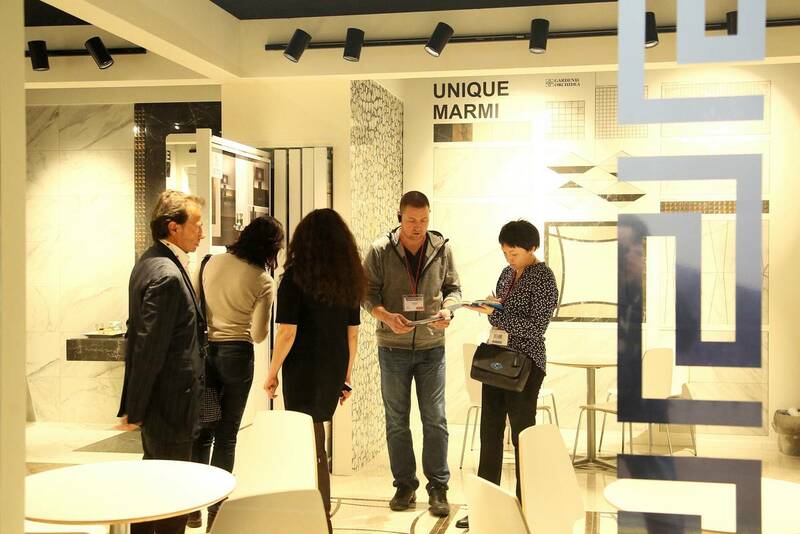 The collections presented by Gardenia Orchidea factory at BATIMAT RUSSIA 2018 reflect the natural design – imitation of wood and stone. 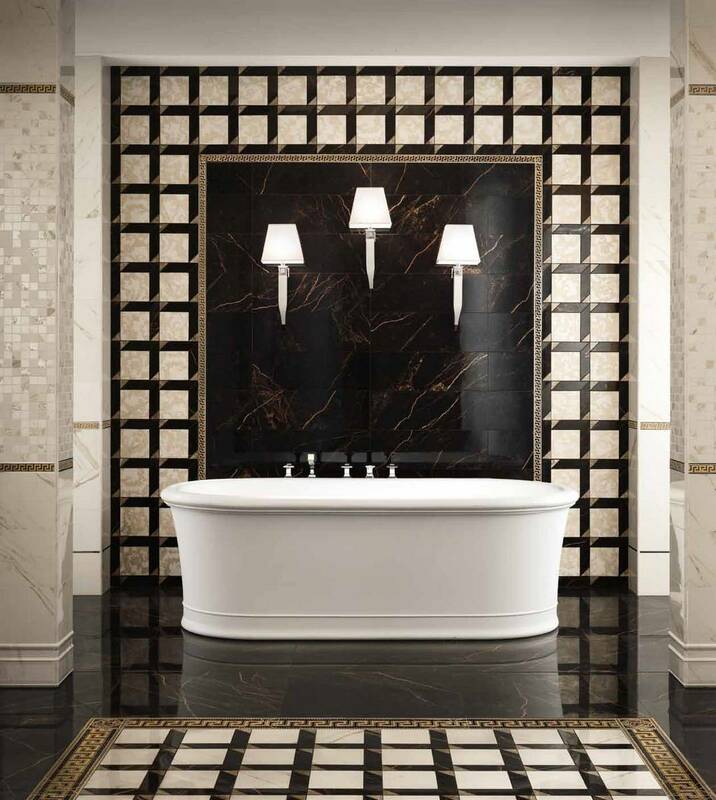 The Greek and Emote collections are designed in a refined classical style. 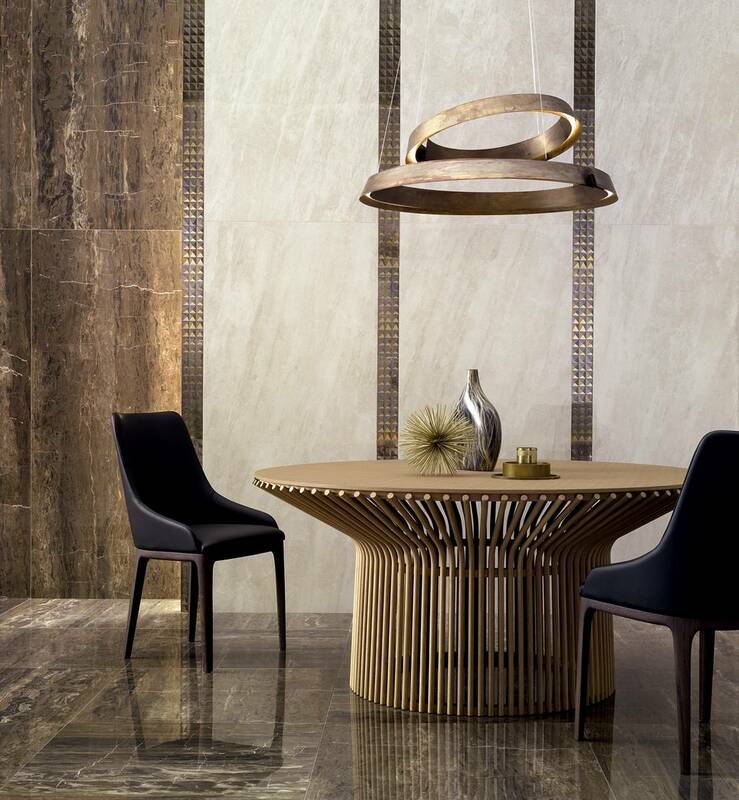 The Emote collection is an imitation of rare marble and onyx in four colors: ivory, black, beige and brown. 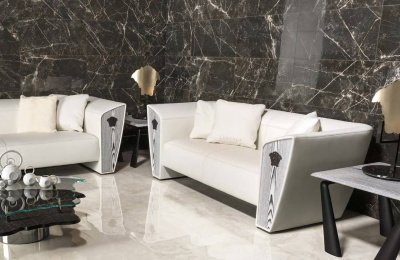 The format of rectified ceramic granite is 78x78 cm, the surface is glossy. 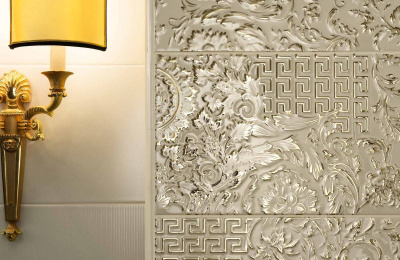 The decor of Emote reflects floral and geometric patterns, as well as the ancient Greek meander ornament. 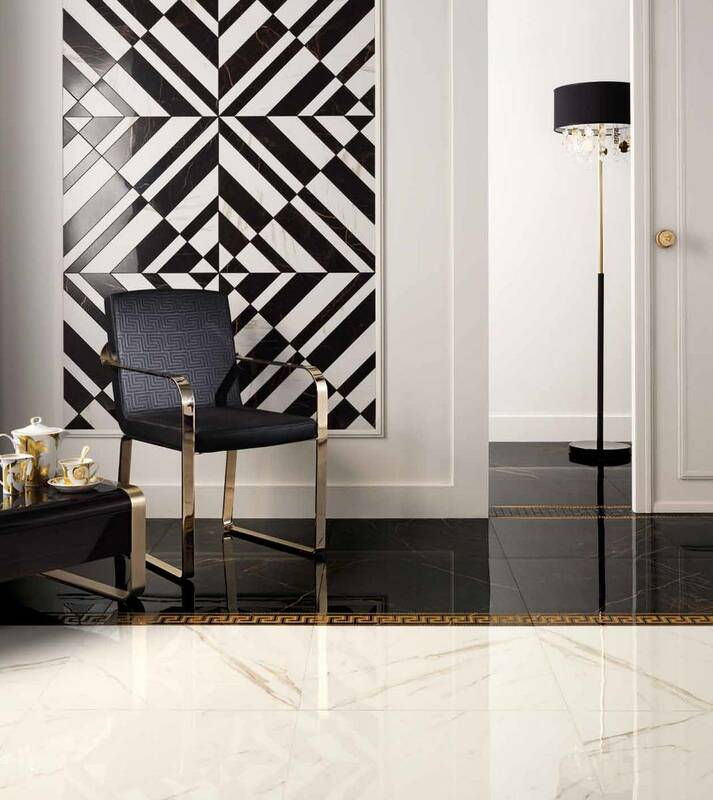 Angular decorative elements for floor coating are released to make up a panel of 156x156 cm. 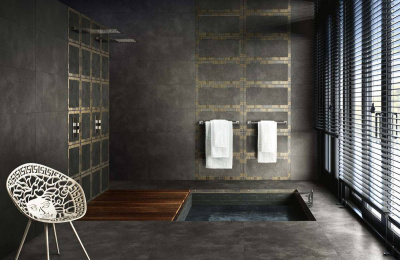 The Greek collection combines the texture of basalt and the decoration with precious metals. 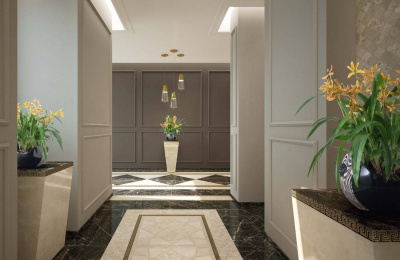 The color scheme consists of white, gray, black and beige. 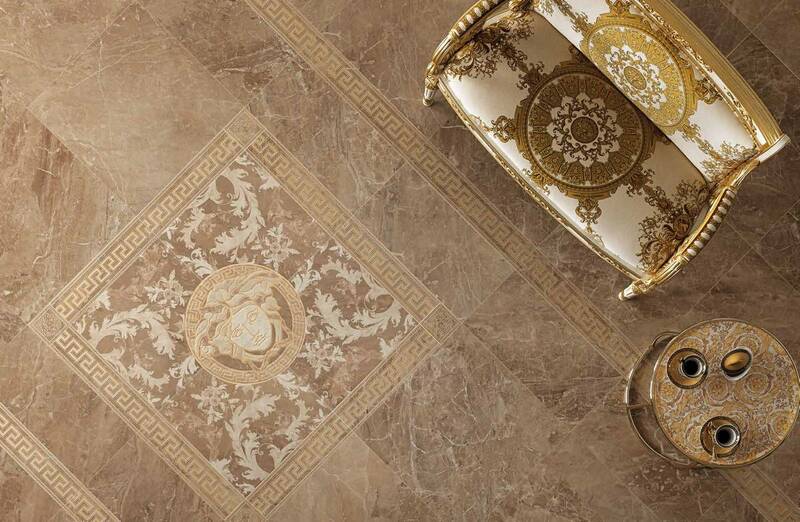 Formats of porcelain tiles: 80x180 cm, 26,5x180 cm, 80x80 cm and 40x80 cm. 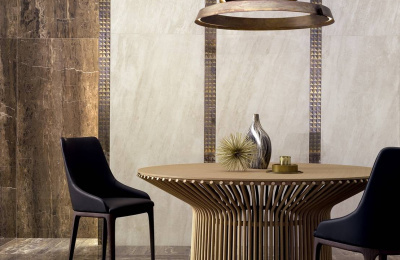 The collection is made with matte and lapped surface with the texture of natural stone with iridescent shine. 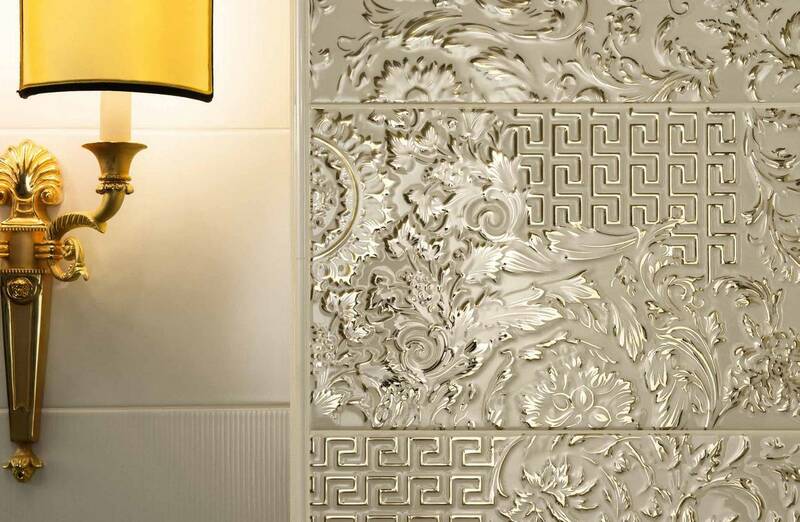 Elements with Versace logo are decorated with natural gold and platinum. 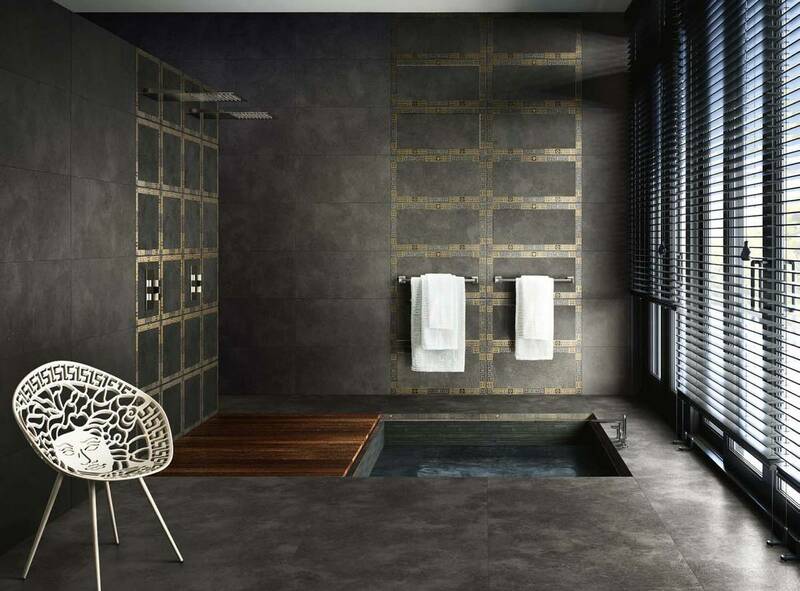 The collection also includes floor decors, which make up a 160x160 cm panel of four plates.